How difficult to design a piece with just two figures! 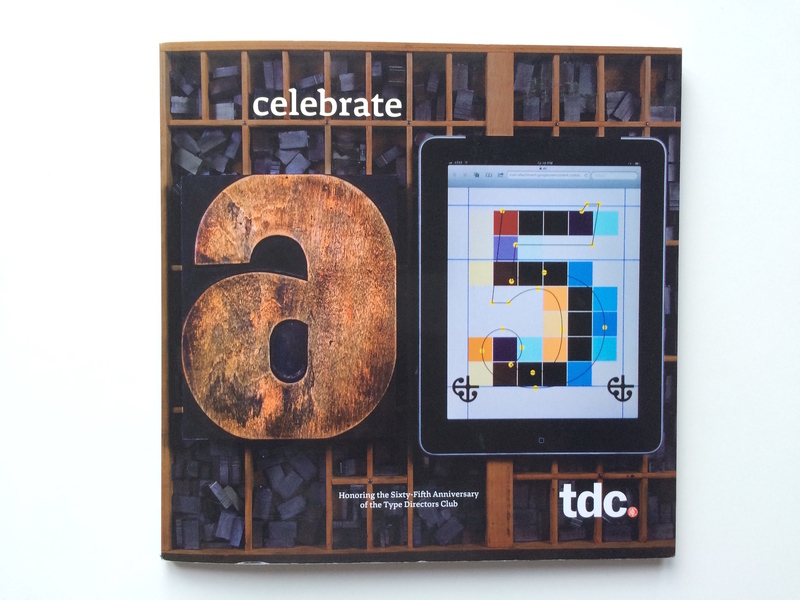 Jean François Porchez was asked to design a piece to celebrate the 65 years of the TDC. 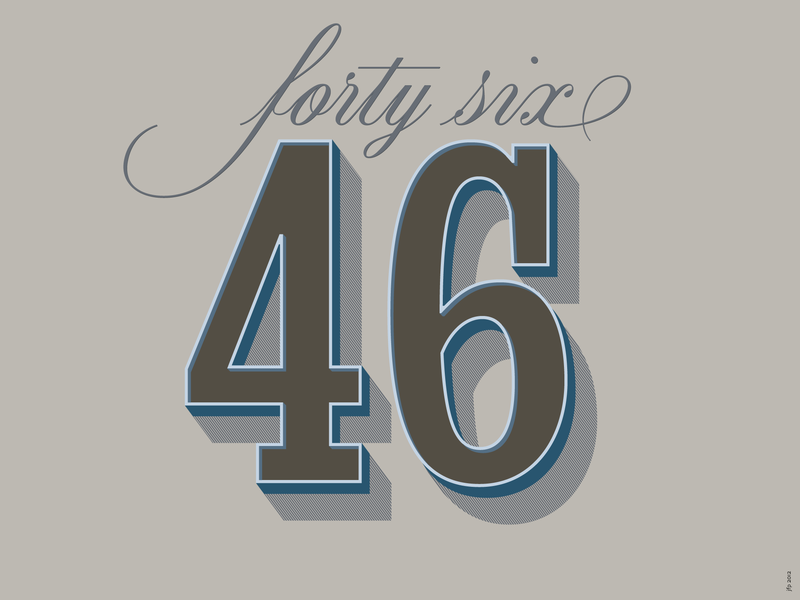 The idea wasn’t to use numerals but letters to design the “number 46.” There is too much possibilities. A Condensed slab was the starting point for this 46 in Drop caps manner. The color scheme was influenced by concrete and metal common elements of New York architecture. This book presents their smart and beautiful efforts, as well as memoirs and reflections by Roger Black, James Montalbano, Paul Shaw, Ilene Strizver, Carol Wahler, and Alex W. White. The featured designers come from more than twenty-five countries and include such celebrated names as Marian Bantjes, Neville Brody, Sonya Dyakova, Louise Fili, Rubén Fontana, Milton Glaser, Henrik Kubel, Niklaus Troxler, Underware, Sharon Werner, and Bai Zhiqei. Six Type Director Club medalists are represented: Ed Benguiat, Matthew Carter, Adrian Frutiger, Paula Scher, Erik Spiekermann, and Hermann Zapf.